March in Shanghai, once again an outing season in a year. On March 24, employees of information department of ZENITH started their low-carbon travel to strawberry garden, by riding their bicycles. It is understood that, in order to promptly respond to the consultation of overseas customers, information department implements shift work system to provide 24 hours' service for customers. So, group activities is hardly possible for them. When this activity plan was promoted, many employees in the department really thirsty for it. In three teams, they got there on time. 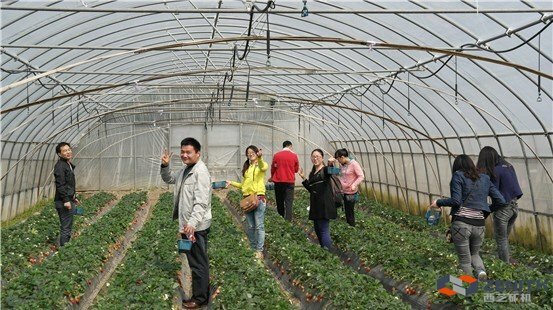 Various activities, such as picking strawberry, fishing, self-service barbecue, games, all made everyone joyful. Employees of information department throw themselves again to the busy work after the joyful spring outing. 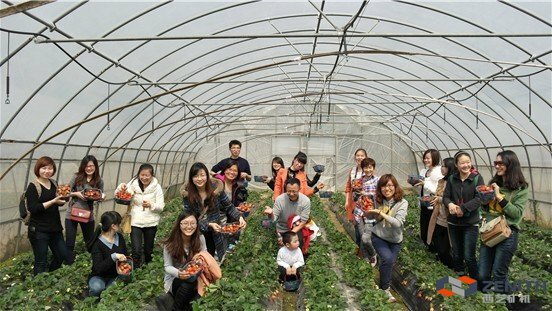 When was interviewed randomly, one of the participants said, "we really had a good time in the strawberry garden. Although our work is shift system, we still vigorous. In addition to participate in the activities in the spare times, we also imagine our work as a painting art, where we can apply various colors happily." Employees of information department is the first window for customers to know about ZENITH. Here, only by imputing your material type and target needs, you can get the professional reply in time from ZENITH information team. The reporter noticed that, in addition to the "twenty-one days work plan", the information department also implements various contests, such as "contest on business conversation skill". Recently, they have promoted a "one-year training plan", aiming at forging a more professional team and improving customers' satisfaction.